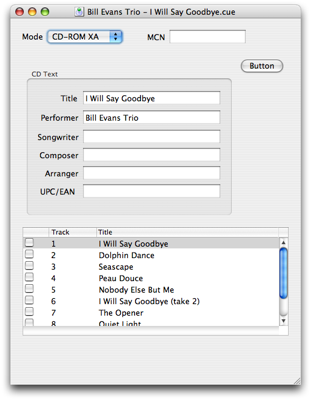 I ran into a situation where I had a music CD as a single FLAC file with the tracks defined in a cuesheet. The generally-fabulous Max wouldn’t do anything with this combo (it opened the .cue file, but that was it). 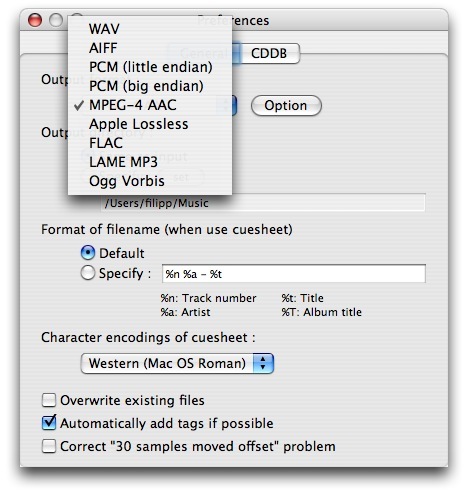 The command-line FLAC decoder does support cue indexes, but just as I was getting ready for some shellscript/Automator mumbo jumbo, I decided to pull a Google search for “flac cue os x” and that’s when I stumbled on this wonderful little utility called XLD. 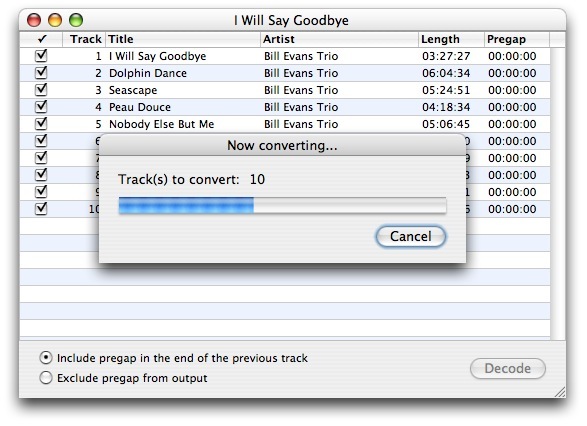 Even though it’s name suggests XLD only deals with lossless files, it also supports a number of lossy formats. And ofcourse you get to tweak all the necessary parameters, including all the stuff you’re used to in iTunes (thanks to Core Audio).